Malaga Airport is located 8Km South East of Malaga with links to the E15 N340 motorway to travel East or West from the centre of the Costa del Sol. 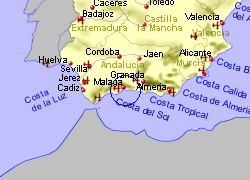 Train each half hour to Malaga approximately €1, Fuengirola (the end of the line in a south easterly direction)€2. 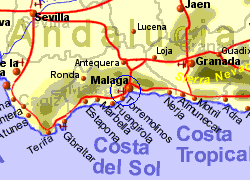 Bus to Malaga each half hour during daytime approximately €2. Taxis to Fuengirola approximately €35, Marbella €70, Antequera €75.